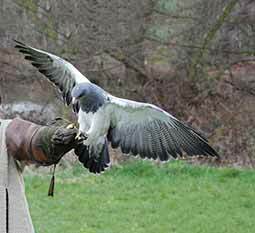 Pestex Falconry Management unit uses a variety team of hawks and falcons to control pest birds, this method of control has been very successful with Town centres, Industrial sites, Schools and Churches to name a few. The use of this method of bird control is a natural way of deterring and controlling many pest birds such as pigeons and gulls. 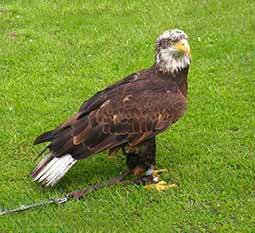 Where clients have a population of nuisance birds but are unable to restrict their access through proofing measures such as netting, this is the best solution to the problem. 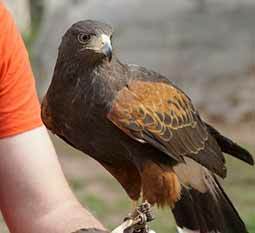 A specially trained unit handler will put the hawk or falcon to work, causing the pest bird to relate to the "Fear Factor" of the bird of prey, naturally removing the pest bird from the area and encouraging them to establish a new pattern of behaviour in another area.